If you know one thing about me and my plant-based ways you know that dates and cashews are just about my favorites things EVER. The way cashews can transform into different cheeses (cheese cake, Parmesan, sour cream) and dates are the PERFECT replacement to sugar in almost any recipe--well there really is just no reason not to love them. Add some chocolate, because of course, and fiber filled oats and TA-DA! You've got yourself the most amazing combination! The little crumbly part on the outside makes it feel like you're eating an actual truffle! Just pulse together your oats and raw cashews into a fine "meal", reserve a couple spoonfuls, and dump the rest of the ingredients in. Pro-tip: I added the salt at this step because having little salty bits of oats and cashews on the outside is next level delicious. The only other time my oldest has had actual chocolate truffles was at an actual chocolate factory here in town. A bean to bar chocolate shop with seriously the most incredible chocolate I've ever tasted. So when Mason said "Mommy these are just like the ones we had before! You know at the chocolate factory!" I was really flattered for about 2 seconds and then remembered that he's only 3 so he probably doesn't have the most accurate memory of how amazing those authentic chocolate truffles actually are. I am not claiming they are one in the same...I AM claiming, however, that these are dang good and would definitely suffice your chocolate craving! 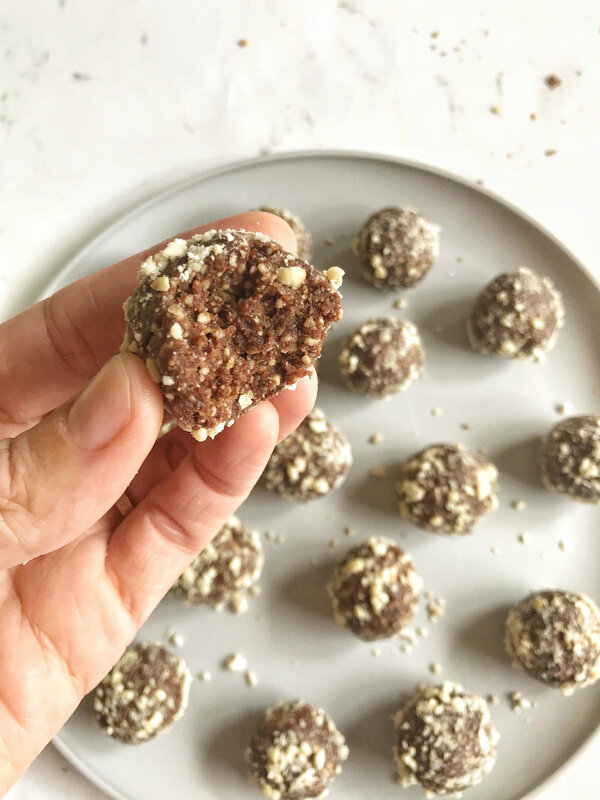 Great for snacking, after workout pick-me-up, quick breakfast on the go, and like I said-DESSERT (maybe even broken up over some nice cream? Oh yes. Definitely). Pulse it all up until well combined. And then you EAT. Try them out and tell me what you think! 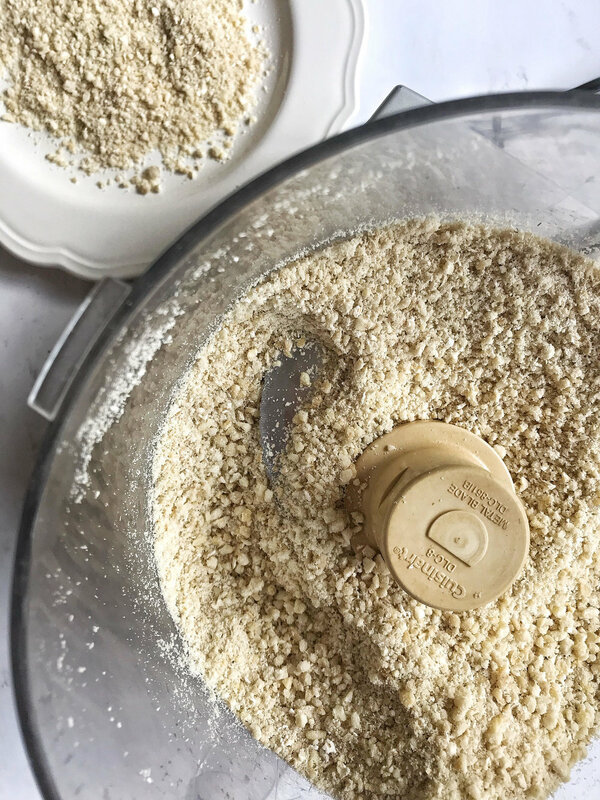 In a food processor, pulse your cashews, oats and salt until a fine "meal" forms. Set aside 2-3 TBS. Add in your dates and cacao powder and combine again. Slowly add in your water until the mixture sticks between your fingertips. If the mixture is too dry it will fall apart when you are trying to roll it into balls. 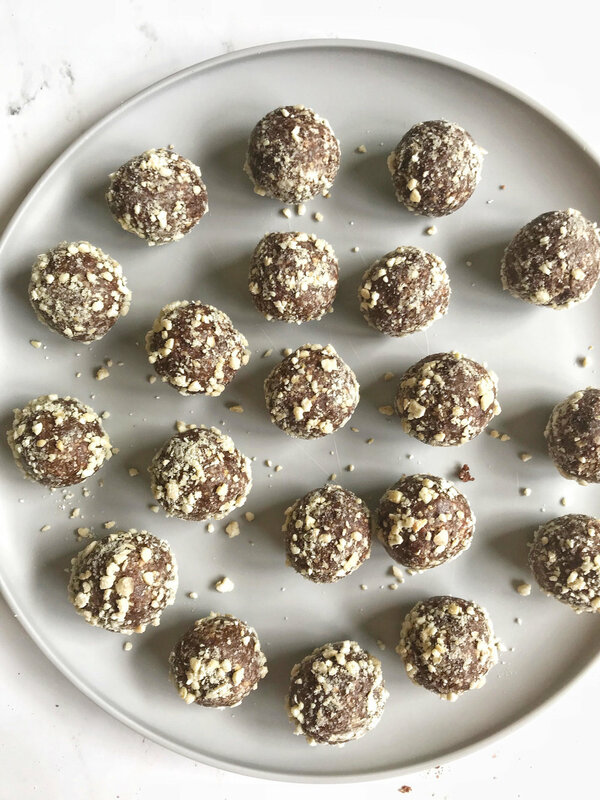 Roll the truffles in the cashew and oat mixture you set aside. I used a melon baller and made about 20 or so truffles.